We are taking a long-deserved vacation starting tomorrow, traveling to the North of Spain and the South-West of France. The blog will be updated again on May 9th. 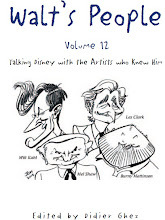 I spent a big part of this long weekend working on Volumes 11 and 12 of Walt's People, which I believe will be spectacular. Here is a glimpse at the table of contents of Volume 11. 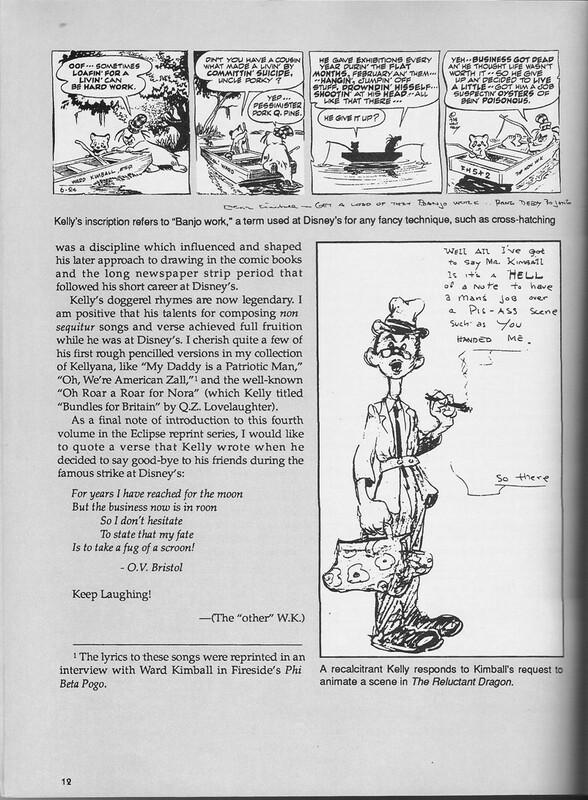 As you can see I am including a large section about Disney during the '50s (without neglecting the Golden Age of the Studio), and have started to open the doors to the world of WDI. The interview with Ed Catmull, conducted last week, does contain a few small scoops. The table of content of next issue of Twenty-Three has been announced. 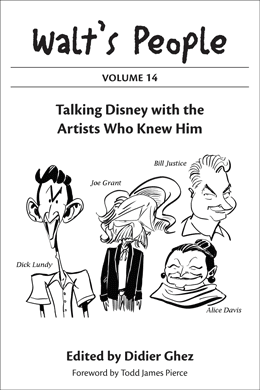 I am particularly looking forward to the articles about Bill Justice and about the George Lucas / Disney collaboration (especially the part about the attractions that were never made). 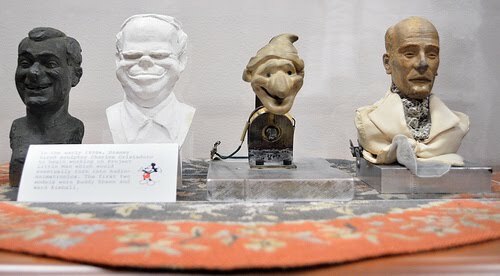 I had always wanted to know more about Charles Cristadoro (pictured above), the artist Walt employed, among other things to sculpt the characters of Project Little Man. 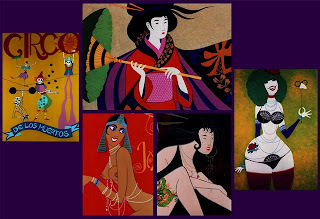 If you follow this link and browse down you will find a very complete biography of the artist his friends called Cris. It's a holiday in Spain tomorrow and Friday. See you all again on Monday. Happy Easter. 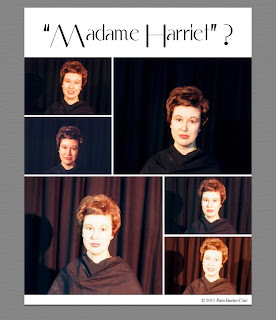 Three more instalments of this series have been posted recently. I especially enjoyed the first one. 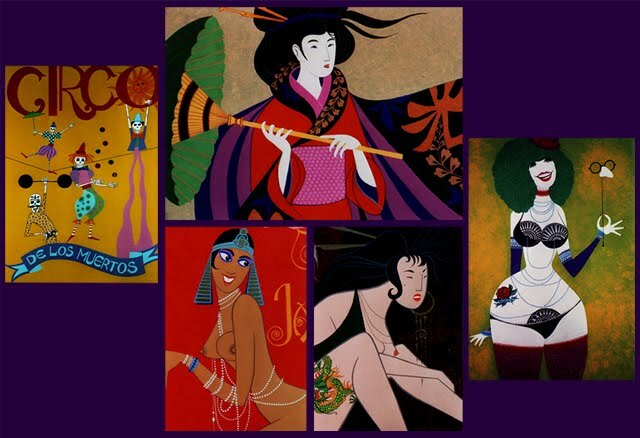 Rolly Crump just launched his website. Enjoy. 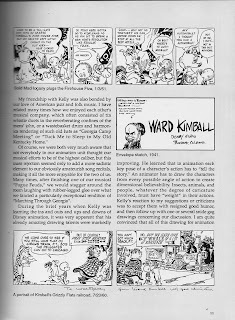 Jake Friedman was kind enough to send me this weekend this great essay by Ward Kimball, originally released in the book Pogo and Albert: Dreamin' of a Wide Catfish (Eclipse Books, 1990). I know you will love it. Tim Susanin's book Walt before Mickey: Disney's Early Years, 1919-1928 will be released on May 1. It was therefore high time to release an interview with him on the blog. Didier Ghez: Why did you decide to write that book? 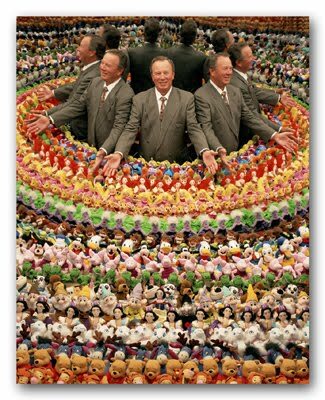 Tim Susanin: I became interested in Walt’s career after picking up Bob Thomas’ seminal biography, “Walt Disney: An American Original,” at the Emporium during a family trip to Disney World. 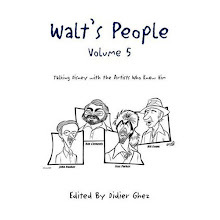 But as I set out to learn more about his career --- which was really a way of learning for myself what made Walt “Walt” --- I had trouble getting a lot of detail about the first decade of Walt’s career. 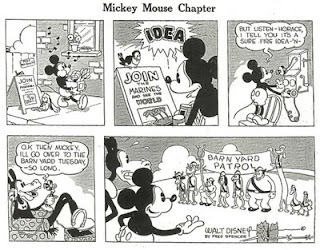 The Disney “early years” frequently refer to Mickey Mouse, the Three Pigs, Snow White, and the Dwarfs. 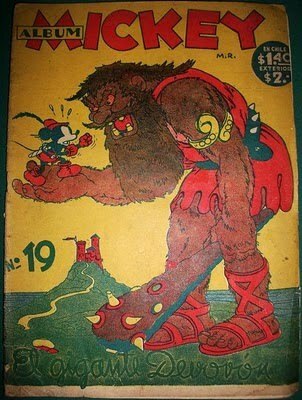 But those characters, and the worldwide acclaim they brought Walt, date to 1929 and the 1930s. Walt, though, started his career in 1919! I wanted to learn how Walt got from 1919 to the edge of worldwide renown in 1928; how it all started; and who was with him at the beginning. In short, it seemed to me that Walt’s full “backstory” was missing and, without it, it was difficult to understand the real Walt. 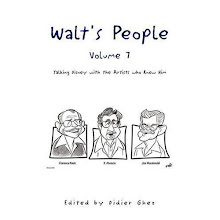 I did not set out to write a book, but to cull from existing sources, and plumb new sources, in an effort to learn about what seemed to me to be the missing decade of Walt’s career. 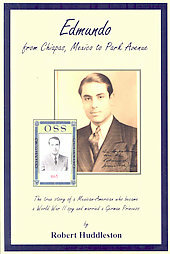 The book resulted from that process. Remember how George Lucas set out to make the three Star Wars prequels so that the last shot in the final prequel provided a seamless transition to the opening shot of the original Star Wars? That’s how I came to see this book. It ignores what we all know happened after 1928; tries to recreate the preceding decade of Walt’s life; and hopefully sets the stage for a seamless transition to the story of Walt’s career that we all know so well. DG: How did you research it? 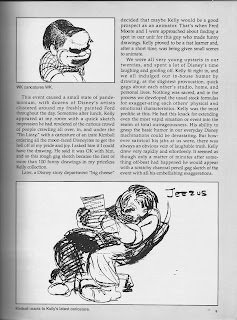 TS: First, I collected all the books, articles and interviews I could about Walt in the 1920s. This took me to the Library of Congress in Washington; the New York Public Library; and many others (via inter-library loan requests). From these sources, I pulled together what was known about the first decade of Walt’s career. 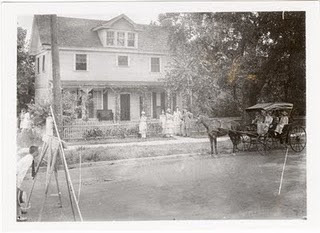 Second, I tried to address what was unknown about that decade by locating primary sources that could fill in the blanks. 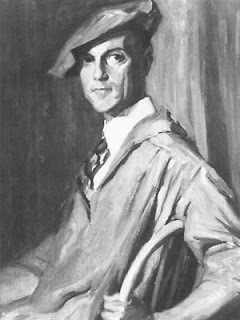 For example, I reviewed Kansas City and Los Angeles newspapers as well as court records from the 1920 for information about Walt and his studios. I turned to census records on ancestry.com and many other newspapers around the country to locate information about Walt’s business associates and studio employees. Third, Disney authorities like you, Diane Disney Miller, Michael Barrier, and Dave Smith, just to name a few, graciously shared their own information and research with me. 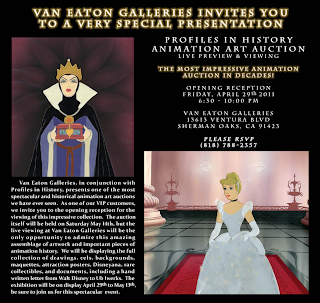 Fourth, I interviewed one person who was there at the beginning (Virginia Davis, the first Disney studio star) and family members of others. For example, I interviewed relatives of Walt, Hugh and Fred Harman, Vern Cauger, and Dr. Cowles. Finally, I viewed as many of Walt’s films from 1921 to 1928 as I could find. Some are available on DVD; others I viewed at the Museum of Modern Art in New York and the Library of Congress in Washington. These various forms of research combined to give me the backstory for which I was looking. The Walt Disney Company graciously agreed to let us use 40 pictures from Walt’s Kansas City and early Hollywood years, so photographs – one or two published for the first time, I believe – supplement the book’s narrative. 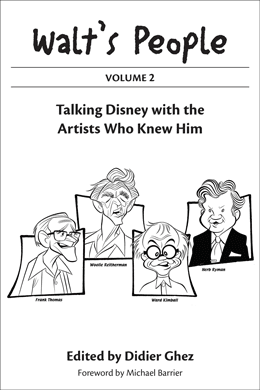 TS: The book begins with a foreword by Walt’s daughter, the lovely and gracious Diane Disney Miller. My own introduction is really a prologue which finds Walt returning to his Burbank studio during Thanksgiving week of 1966. He had been out sick, and when he got back to the studio, one of the things he did was screen a print of a World War I era musical the studio then had in production. Given his illness, and the fact that his own career began when he returned from his post-War Red Cross service in France, Walt’s screening of that movie, The Happiest Millionaire, must have made look back on his career, including the early days. That introduction serves as something of a flashback. 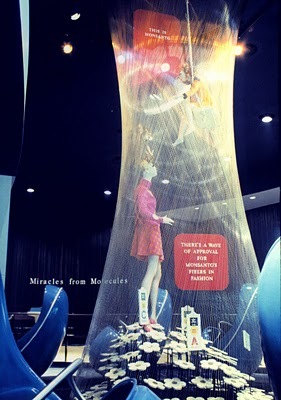 Book One takes place in Kansas City. 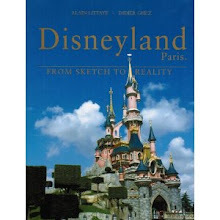 There is a chapter on the first few jobs Walt held upon returning from France. 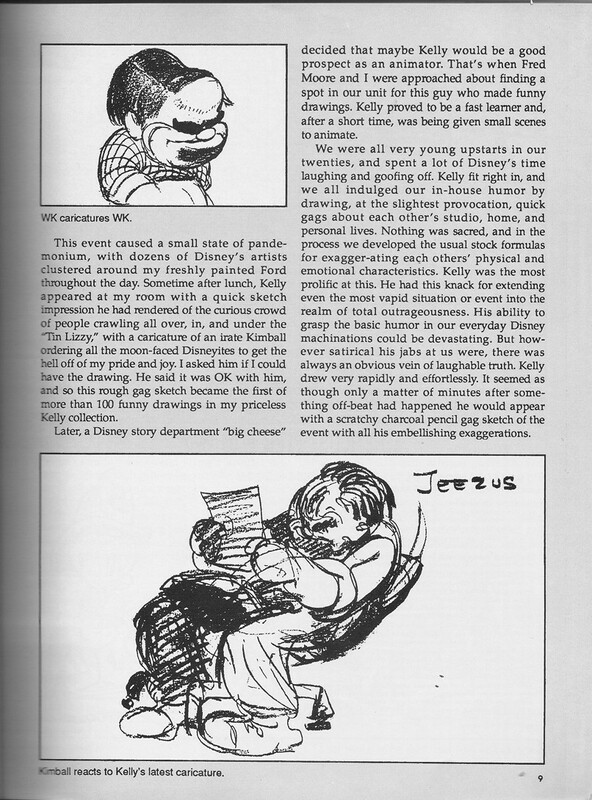 From his earliest jobs, we meet characters, like Ub Iwerks, who would loom large in Walt’s career in the years ahead. 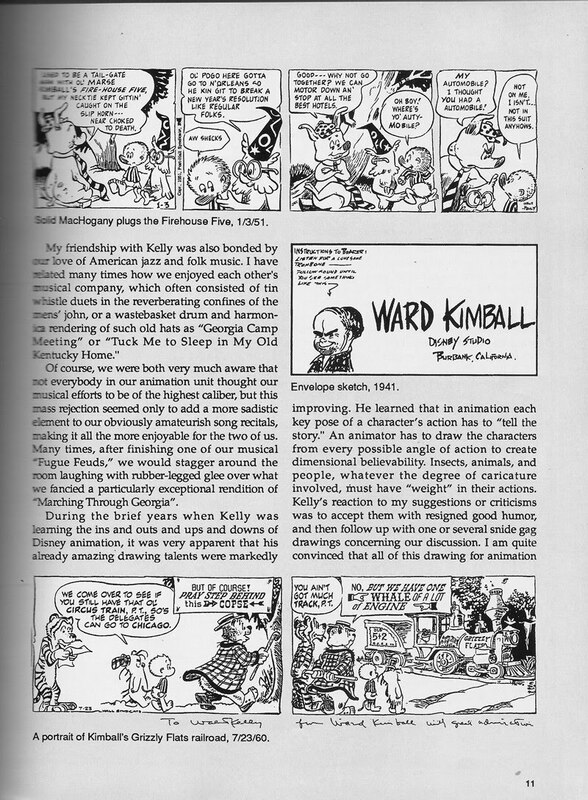 We see Walt’s introduction to animation, and his “home experimenting” (as he called it) with animated cartoons in his father’s garage. 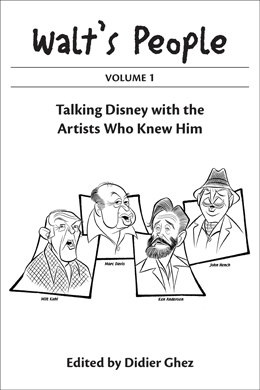 There is a chapter on Walt’s first movie studio, “Kaycee Studios,” which he ran with Hugh Harman and, later, Red Lyon. 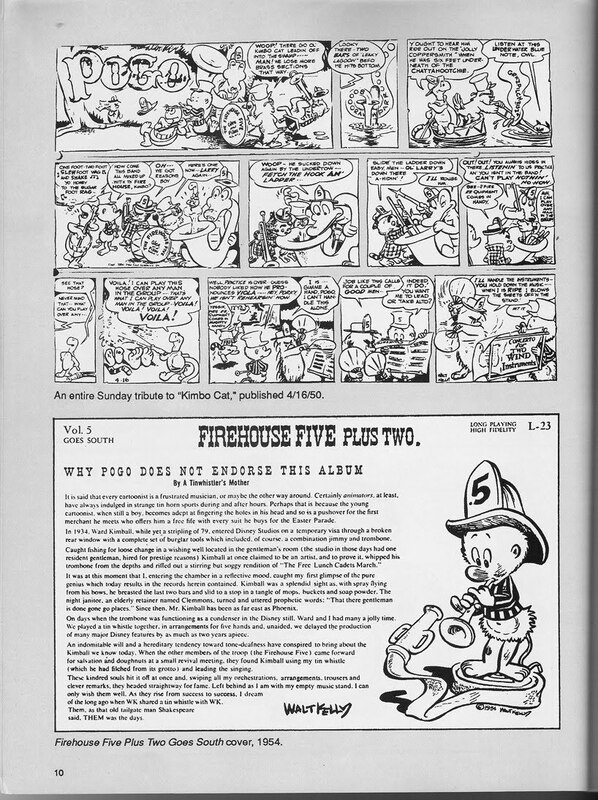 There is also a chapter on the better known of Walt’s Kansas City studios, Laugh-O-gram Films, Inc. Like the Walt of later decades, the Walt of Laugh-O-gram produced animated shorts, live action films, a combination of the two, and several other series. We learn about Walt’s investors, and the ups and downs of Walt’s efforts to launch Laugh-O-gram and its series of modernized fairy tales. 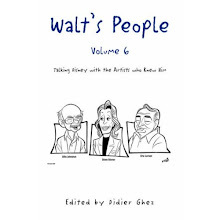 Upon that studio’s failure, Walt – with his pilot for the Alice Comedies series in tow – follows his dreams west, to Hollywood. 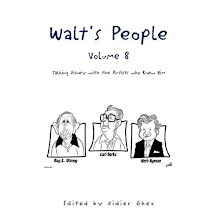 Book Two focuses on Walt’s first years in Los Angeles. 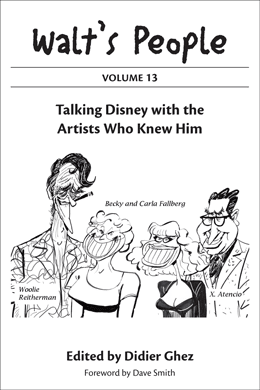 There is a chapter on the Disney Brothers Studio on Kingswell Avenue, and a chapter on the Walt Disney Studio on Hyperion Avenue. We meet new animators, and some other transplants from Kansas City. 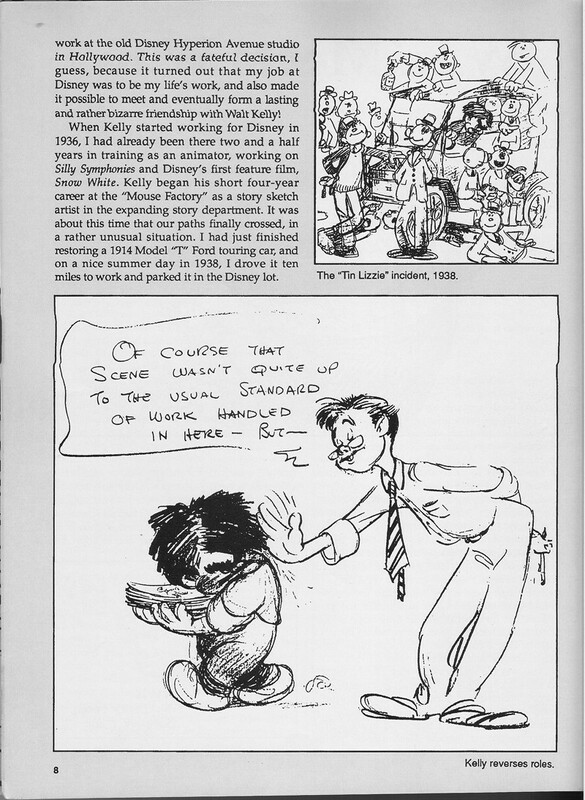 At Disney Brothers, we see Walt perform all of the creative functions at the studio by himself, until he hired Ham Hamilton and until Ub moved west. A year later, others from Kansas City moved to Hollywood, and the studio grew as the Alice series moved into its second and third seasons and Walt and Roy each got married. 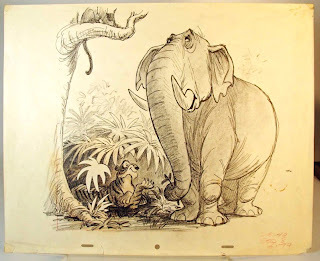 At the Walt Disney Studio on Hyperion, the Alice series gives way to a new series starring Oswald the Lucky Rabbit, and the staff expands to include even more future animation greats like Les Clark and Friz Freleng. 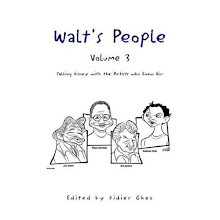 Book Two ends with Walt’s and Lilly’s trip to New York in early 1928, when they lost the Oswald series and all but three of their animators. The Epilogue was fun to do because it answered “Whatever happened to…. ?” with regard to the people we meet throughout the book. We all know what happened to Walt and his family, but I wanted to finish the story, where I was able to, with regard to everyone else. Finally, I have extensive endnotes for readers who want to go further. DG: What were the most interesting discoveries you made while researching the book? TS: Learning the story of that whole decade was extremely interesting to me. Walt was 17 years old when he started his career, and in the 10 years that followed, he held jobs in advertising and commercial art; ran four studios; befriended numerous other artists in their late teens or early twenties who later became well known animators and artists; saw his studio go bankrupt; moved from the mid-West to Hollywood; got a Warner Brothers protégé to distribute his fledgling series; negotiated with Universal and other studios while his own distributor schemed to take his successful series and his animators away from him; fell in love and married; and survived other hardships and setbacks. 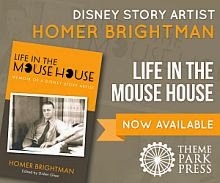 The book ends with Walt optimistic, even though the bottom fell out of his studio. We, the reader, see him board the train in New York for the long ride back to California, seemingly at the lowest of his many lows. We know --- even though he and Lilly do not – that he is moments away from great fame and fortune. 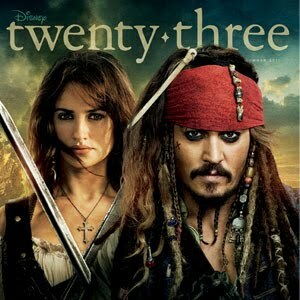 To me, this story is the ultimate Disney movie. It has a hero, adversity, a love story, and of course a happy ending (albeit in the epilogue) in which the dream comes true. 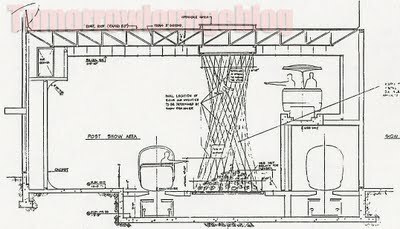 But, to really answer your question, what I found interesting was that so much of what you read about Walt does not match up with the Walt I got to know during this project. 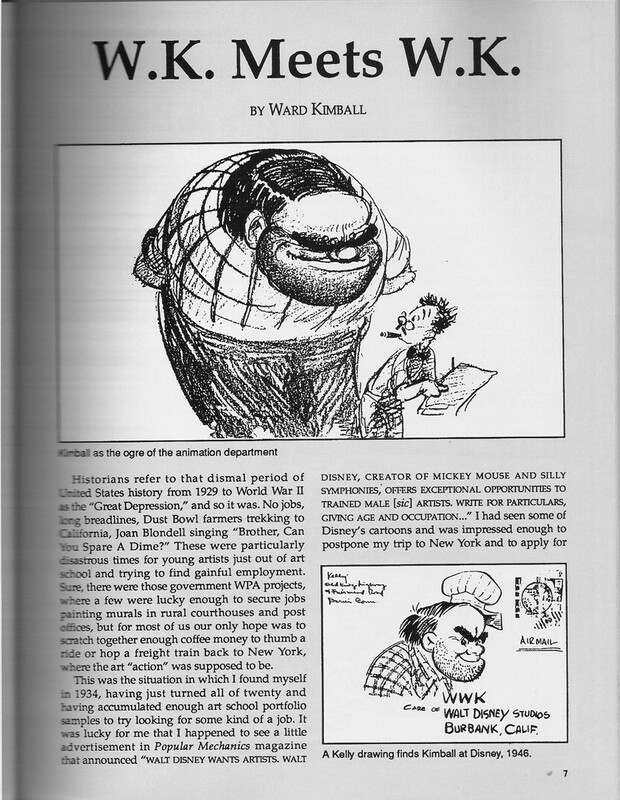 For example, you might hear or read that Walt wasn’t an artist; he wasn’t an animator; he had no business sense; he had a difficult personality; and he was not loyal to his staff. The Walt I saw was completely the opposite. Throughout his childhood and teens, he loved art and drawing. 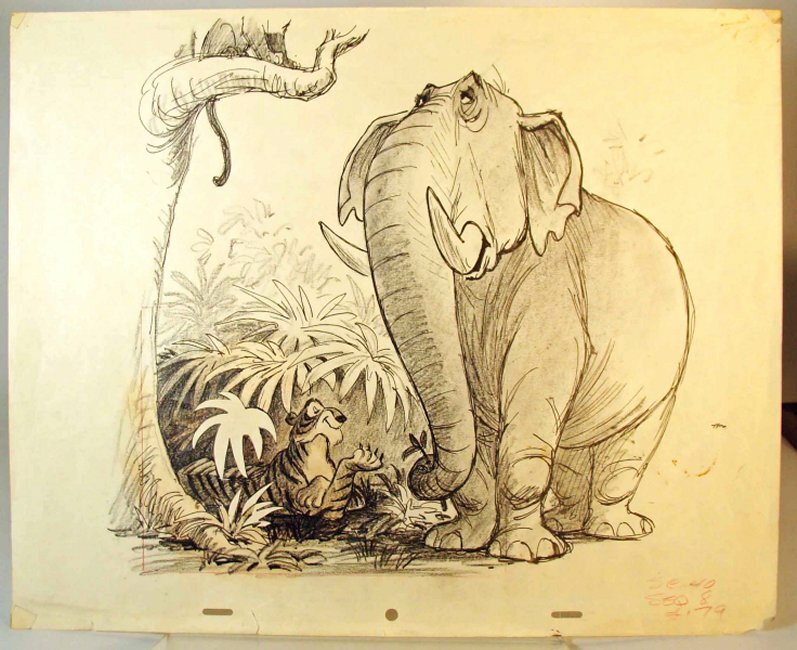 He was an animator; he animated many of his productions between 1921 and 1924 entirely by himself, and stopped animating only when his producing, writing and directing chores – and his ability to hire a staff of animators – required him to do so. Walt’s brother, Roy, was an integral part of the Disney company’s success from 1923 until Roy’s death in 1971. Yet Walt was a shrewd businessman who started his own series in Kansas City in 1921 without Roy. Roy was also entirely uninvolved in Walt’s two Kansas City studios, Kaycee Studios or Laugh-O-gram Films. 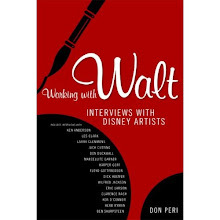 My chapters on the Disney Brothers and Walt Disney studios quote from many letters between Walt and the Winkler distribution company, and they show how engaged Walt was in negotiating fees, contracts and the like. 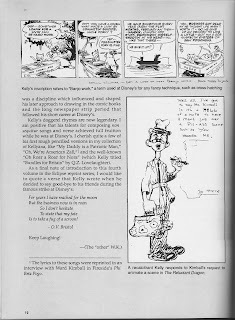 Walt’s own letters to Roy during Walt’s and Lilly’s disastrous trip to New York in early 1928, when he lost the Oswald series, show that Walt went to New York aware that Winkler might try to take the series from him. I think readers will be surprised how Walt arrived in New York planning on out-maneuvering Charlie Mintz and the Winkler company, and how Walt relentlessly pursued his plan during those several weeks in New York before the series finally fell apart. I think readers will agree that Walt was a great businessman. Finally, I truly liked the Walt I got to know during my research. I would guess that, like anybody, he had his faults, but I found him a kind and earnest person. I found him fun. And I found him to be one who frequently displayed loyalty to his friends and colleagues, even when holding a grudge might have prevented others from behaving in a similar fashion. 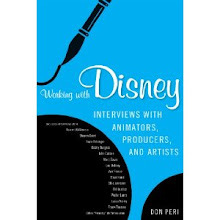 (Everyone in this book ultimately wanted his or her own series, studio, success, fortune, etc. I think that this fact explains some of the grudges that certain people held against Walt). DG: Any plans to work on any other Disney History related projects in the future? TS: Given the length of Walt’s career, and the amount that has been written about it, it is daunting to consider taking a look at Walt after Mickey. Perhaps the real answer is: we are still finalizing and preparing the book for its release, so it is too soon to look beyond this book. [Bo Boyd passed away on Wednesday morning, April 13. He was 68. 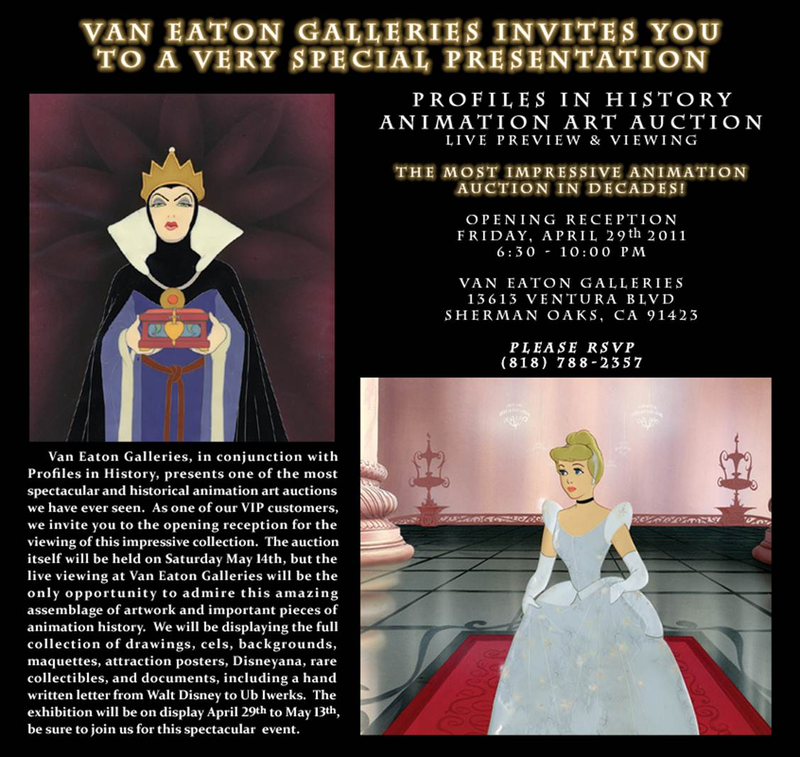 Ken Anderson, of course, and sold at Van Eaton Galleries. Pure delight. 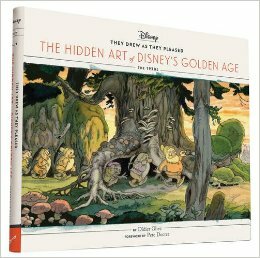 When I mentioned this book on Mineral King last week, I was wondering how much of it was about Disney and how well researched it was. I have now received it and can confirm that 75% of it is about the Disney project and that it is extremely well researched. 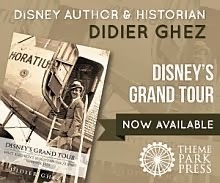 If you are interested in this period of Disney history, this is a book you must get, although you need to know that it is written from the perspective of someone who strongly opposed the project. 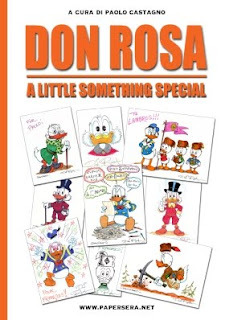 If you enjoy Don Rosa comic books (and if you don't it's certainly because you have never read any of them yet), then this new book edited by Paolo Castagno (in Italian and English) is probably for you. 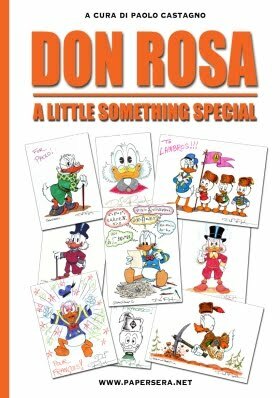 Paolo has gathered the very best historians of Disney comics for this volume, which will probably become a "must have." 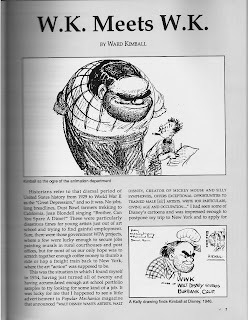 By releasing one of his seminal interviews every week, Michael Barrier is starting a small revolution in the field of animation and comic books history, the same way he did many years ago with Funnyworld and more recently with his book Hollywood Cartoons. His interview with Lynn Karp went up yesterday. We learned today that Disney Legend, Imagineer Collin Campbell had passed away. I am especially sad when I think that Collin does not seem to have ever granted any interview, which means that all of his stories and memories are now lost forever. You can read obituaries here (Jeff Kurtti) and here (Jim Hill). 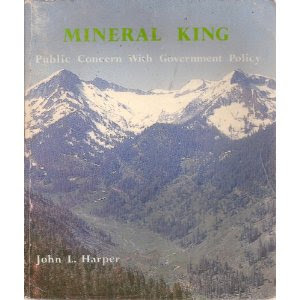 [I wrote part of my master's thesis on Mineral King, so I have some knowledge of the subject. Walt was never around long enough to give up on Mineral King, as he died in 1966 and the project wasn't abandoned until the late 1970s. As John Harper's extraordinary book makes clear, a real problem to the proposal was the lack of an all-weather highway to get up there. Disney did not want to pay for it and was unable to get the state or Federal government to pay for its construction. (As governor, Reagan actually stopped California from funding it.) There were also problems with safety--a snow surveyor working for Disney was killed by an avalanche in an area which experienced them regularly (and right where Disney was planning to build its guest facilities). Didier, although Harper worked for the Sierra Club, the book is very balanced and a really detailed chronicling of the story--surely the best history of Mineral King's possible development as a ski resort that exists. 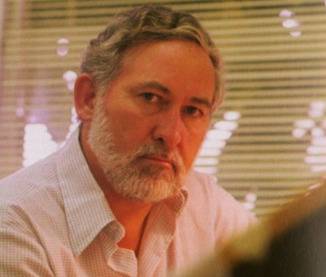 C. Langhorne Washburn served in the late '70s as VP of the EPCOT project, in charge of convincing foreign nations of financing pavillions in the World Showcase section of the park. A staunch Republican whose ancestors were friends with Abraham Lincoln, he also served in the Nixon and Ford administrations. He passed away on March 4 this year at the age of 92. Michael Crawford managed to locate his privately released autobiography (not available commercially). I just finished reading it yesterday. Not a lot about Disney, but 3 or 4 pages of never-heard-before anecdotes about the courting of countries during the initial phases of the World Showcase project, most of which do not appear in Jack Lindquist's book. It is not often that I know this early in the year which book will make it to the top of my "Best Disney History Books of the year list," but Tim Susanin's Walt before Mickey: Disney's Early Years, 1919-1928 is so good that I have no doubt it will be the best candidate. 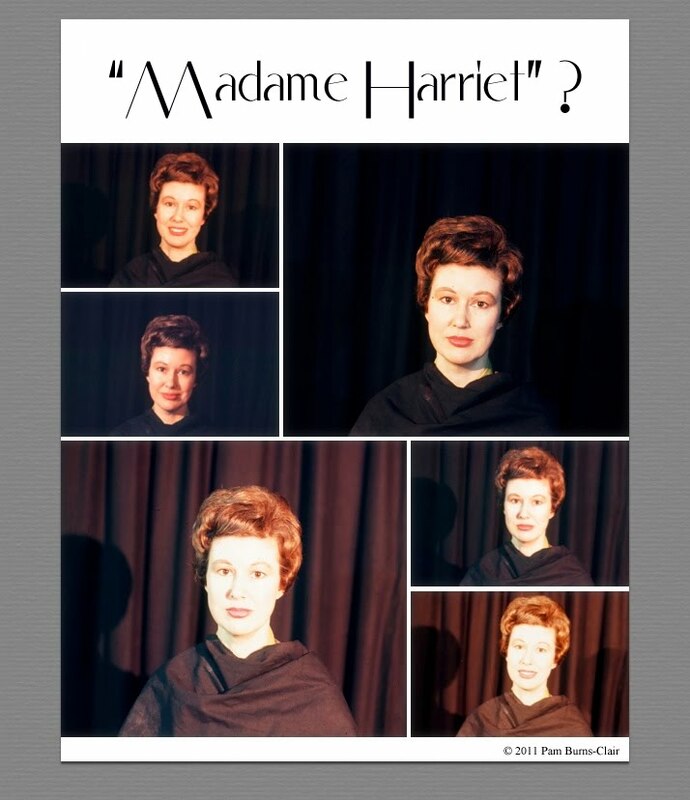 Here is an exclusive first look at the front and back of the dustjacket. 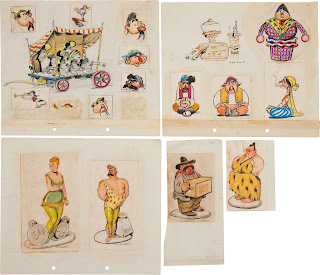 According to the ebay caption, the players are Disney artists (photo from the collection of Al Stetter). Any idea who they may be? I just love this photo of Walt. One of the abandoned Disney projects which will have to be analyzed someday is Mineral King. I have just picked up this book on Amazon (not sure how good it is) to try and understand more about the controversy that surrounded it. John Harper was definitely not on Disney's side and a large, balanced essay on the subject is long overdue. It took 4 years and the combined efforts of Jim Korkis, Paul F. Anderson, David Gerstein and myself. We finally have the answer to the Disney / Demolay comic-strips "mystery". A total of 5 strips were created by Disney artist Fred Spencer for The Demolay Cordon. 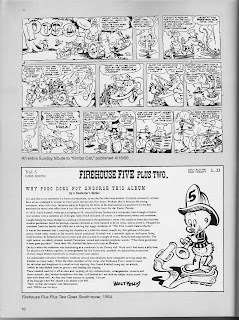 David Gerstein was able to visit the Mason Library in New York (where I had identified a complete collection of The Demolay Cordon) and checked every single issue of the newsletter from 1932 to 1935 finding only a total of 5 strips.